Make your Halloween creations come to life with technology. Learn how to design and integrate electrical circuits into your clothing to lighten up a dark creepy night. Do some hocus pocus with 3D printing to make wicked witch accessories. 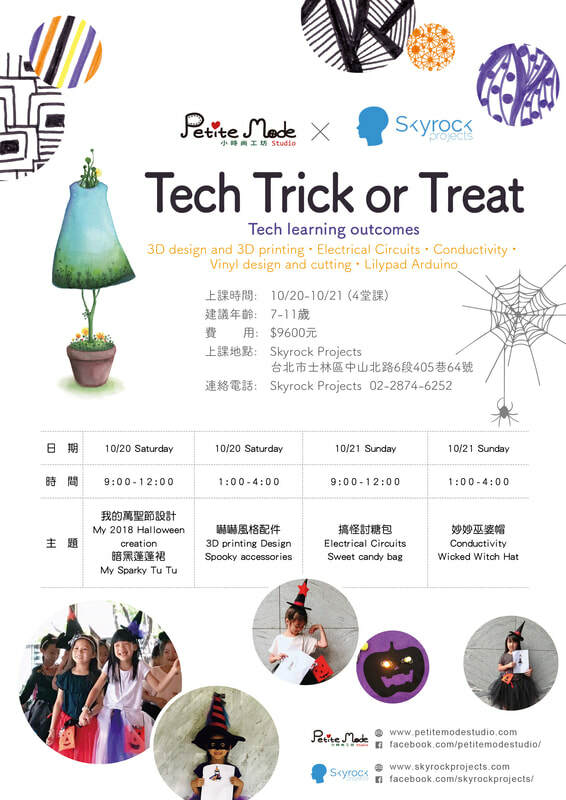 And have the most enchanting halloween costume of them all with fashion tech Petite Mode Studio X Skyrock Projects. 超酷的Fashion Tech 結合服裝造型與電腦程式設計等你親自來感受今年秋天最鬼靈精怪的All Girls' Trick or Treat Fashion Tech program! Copyright © 2019 Petite Mode Studio​.